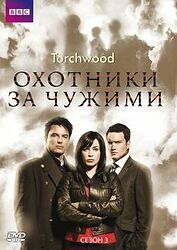 "Official" spinoff series (either approved by the BBC or directly produced by them), namely Torchwood, The Sarah Jane Adventures, K9 and the 1960s Peter Cushing movies (Dr Who and the Daleks and Daleks: Invasion Earth 2150 A.D.). Most of these are DVD, however a small number of Blu-ray releases have happened in recent years. "Unauthorised" (non-BBC) documentaries, most of which either include convention footage or interviews with actors, writers or other behind-the-scenes staff. "Unauthorised" spinoff dramas, which have no connection with the BBC but are designed to appeal to Who fans, either by directly using villains or characters from the programme (such as Mindgame which includes a Draconian and a Sontaran), or simply by including ensembles of well-known Who actors in the cast (such as The Airzone Solution, which stars four actors who have played the Doctor).